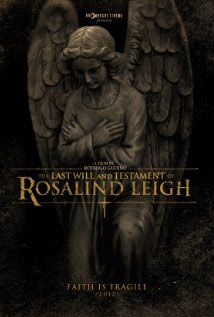 "The Last Will and Testament of Rosalind Leigh" (2012) is a new horror movie starring Aaron Poole and Vanessa Redgrave that is filled with an eerie atmosphere that will keep you wondering what is real and what is imagined. Leon Leigh (Poole) is an antiques collector who inherits his mother's house after her death. He is visiting for a weekend to go through her rather large collection of antiques. He and his mother have been estranged for many years and we gradually learn the reason for this during his stay in the house. His mother, who is voiced by Vanessa Redgrave and only briefly seen in flashback or vision, narrates a large part of the film as her presence remains in the house and wants to communicate with her son. 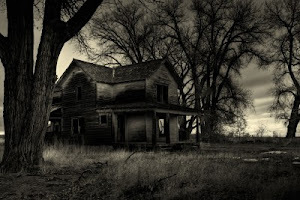 The house itself is a vision to behold and becomes a character in itself. Every room is filled with stone angels, statues and other assorted religious knickknacks. Leon discovers that his mother was part of an alternative religious cult that worshiped in a chapel hidden inside the house. We learn through the mother's narration and Leon's visions that his mother's stern religious fanaticism is what drove him away. As he explores the house and by extension his mother's life after he left, he also must discover what is in her locked bedroom. 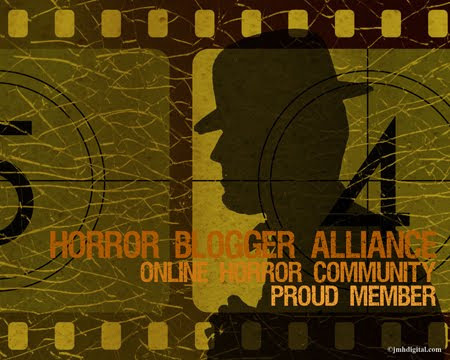 The film's masterful cinematography is like nothing you have ever encountered in a horror film. The camera flows through the home, touching on various curios and bric-a-brac as we learn about the eccentricities of the house and by extension get an inner look at the mind of the unseen but ever-felt mother. The camera meets up with our solitary character as he also is on a voyage of self discovery. 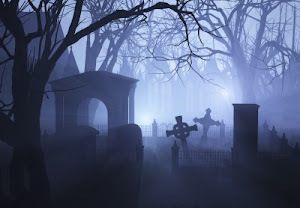 The film is loaded with spooky atmosphere: noises that only we can hear, dark cellars, thunder and lightning and eyes glowing from the shadows. The tension slowly builds as something other than his mother's ghost eventually manifests itself to us and to Leon. This is a good creepy movie best viewed alone and in the dark.